A Calgary law firm has filed a class-action lawsuit against the Air Miles rewards program in Canada. The class action claims that its aim is to "remedy harm caused by the Air Miles program to its users." A Calgary law firm has filed a class-action lawsuit against LoyaltyOne, the company that owns and operates the Air Miles rewards program in Canada. The proposed lawsuit claims that its aim is to "remedy harm caused by the Air Miles program to its users." JSS Barristers filed the suit Wednesday at the Court of Queen's Bench of Alberta on behalf of all Canadian Air Miles members who possessed any "Dream" reward miles on or after Dec. 28, 2011. The case must be certified in court before it can proceed. The lawsuit's statement of claim alleges that Air Miles "engaged in unfair practices" that include introducing an expiry policy without adequate notice and making it "increasingly difficult" for members to redeem miles that start expiring on Jan. 1. "The net result is that Air Miles' conduct will result in a large number of the class [action] members' miles expiring, resulting in a significant loss to the class, and a corresponding large windfall for Air Miles," claims the court document. In late 2011, Air Miles quietly announced a new five-year expiry rule for miles, effective Dec. 31 of that year. That means that on Jan.1, 2017, any unused miles collected before 2012 will disappear and become worthless. The popular rewards program launched in Canada in 1992 and boasts about 11 million members. 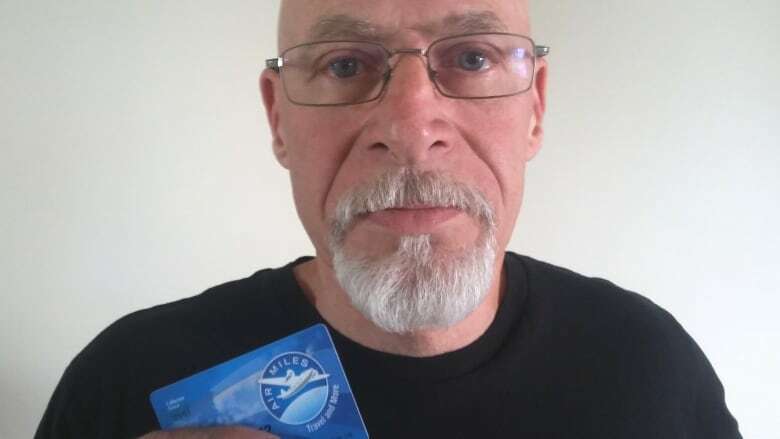 After CBC News ran a story in July about the looming expiry date, we heard from many frustrated members who said they were having difficulties redeeming their miles before they vanished. Long waits to speak to Air Miles customer service by phone. Not allowing members to redeem soon-to-expire miles for cash rewards. Being blocked from some rewards when members actually have enough miles to buy them. The suit also claims that Air Miles promoted its loyalty program with the "promise to bring you the best in service," and that customers reasonably expected fair treatment from the program. It also states that Air Miles benefits financially from its members when they shop at specified retailers to earn miles. "Primarily the members, the class members are alleging that they've not been treated fairly and are seeking redress for that," said Andrew Wilson, one of the lawyers who filed the suit. Damages for class-action members have not yet been specified. LoyaltyOne told CBC News that it is reviewing the statement of claim and has no comment at this time. LoyaltyOne is headquartered in Toronto and its parent company, Alliance Data, is based in Texas. The representative plaintiff in the lawsuit is David Helm from Red Deer, Alta. He has been collecting Air Miles since the 1990s. Helm told CBC News he found out about the new expiry rule in 2014 from his neighbour. Since then, Helm said, he's been struggling to find ways to redeem his soon-to-expire miles and is still stuck with about 1,700 of them. "The only stuff that's available to me is junk that I don't want." Helm recently set his sights on two flights to Texas, but said that when he attempted to book the trip, the flights had disappeared. Helms said he also tried to get a TV that his girlfriend can find available when she logs in using her Air Miles membership. However, she doesn't have enough points to buy the product. Helm does, but claimed Air Miles won't give him access to it. Other Air Miles members have complained to CBC News that they've had a similar experience of being blocked from some rewards once they have enough miles to buy them. Last week, Air Miles told CBC that members who are more active in the program get access to more rewards. Helms said he doesn't buy it. Instead, his experience has led him to conclude that the rewards program wants to make it difficult for members to redeem all their miles that will expire in the new year. "They're trying to let as many Air Miles expire as possible, because it's money in their pocket."